If you drink a glass of milk, a pizza or icecream do you get a rumbling in your stomach, gas, bloating , cramps or diarrhoea ? Does it happen to anyone in your family ? Do you suffer from migraines, colitis, Crohn’s disease or asthma ? Do you have bad breath inspite of keeping your teeth clean ? You probably have lactose intolerance, a genetic disorder that runs in the family, so if a sibling or parent is afflicted, you may be too. Lactose is the sugar in milk and anything made with milk. As with everything else you eat, your body needs to digest lactose to be able to use it for fuel. The small intestine normally makes an enzyme called lactase that breaks lactose down into simpler sugars called glucose and galactose . These sugars are easy for your body to absorb and turn into energy..
People who have lactose intolerance do not make enough of the lactase enzyme in their small intestine. Without lactase, your body cannot digest food that has lactose in it. This means that if you eat dairy foods, the lactose from these foods will stay in your intestines . The bacteria that live in your colon pounce on any undigested lactose that reaches them and ferment it, producing huge amounts of gas This causes gas, cramps, a bloated feeling, and diarrhea from two hours to three days later. Children have vomiting as well. How prevalent is lactose Intolerance? About 70% of the world's population just can't drink milk or eat dairy products without getting an upset stomach. Lactose Intolerance is genetic and happens most often in people of African, Asian and Mediterranean descent. People of northern European descent alone are likely to be able to drink milk as adults while most people of other heritages cannot Many people with lactose intolerance do not even know they have the condition; Some may be misdiagnosed as having a serious bowel disease What problems milk can cause depends on the severity of your lactase deficiency If you suspect you may be lactose intolerant, stop drinking any milk or eating any dairy products for at least two weeks. If you feel better - and the gastrointestinal symptoms have diminished - you can do a test . Drink a little milk or eat a little cheese and wait for two or three days to see what happens. It may take that long for symptoms of lactose intolerance to show up. While most lactose intolerance is genetic, people can also develop lactose intolerance for other reasons. Sometimes another illness, like inflammatory bowel disease or Crohn’s disease or amoebiosis keeps the intestine from producing enough lactase. People can also develop lactose intolerance if they're taking antibiotics or have just had an infection that caused diarrhea. You can be lactose intolerant of you drink alcohol. In any case , the older you get the more trouble you have digesting dairy foods. Your body starts making less lactase when you're around 2 years old. Humans are genetically programmed to be able to survive and thrive on mother's milk for years but they are also programmed to lose this ability sometime after the age of weaning. Human milk has the highest lactose content of any mammal's milk, about 7% on average. Other primates are next, followed by members of the horse family. Cows and their relatives have just under 5% lactose in their milks. If you have lactose intolerance, your body will usually start acting up within 2 hours of eating or drinking something that has lactose in it. Not everyone reacts in the same way - or within the same amount of time - because some people can handle more lactose than others can. But when your body starts trying to digest your food, you'll begin to feel awful. You can expect to see any of a variety of symptoms anywhere from a half-hour to several days after eating dairy products. Many people make the mistake of taking a antiacid . This doesn’t work because it works on acid in the stomach whereas the problem is in the intestine . Antigas or anti flatulence medicines ( like chooran) won’t do anything to the bacteria that are the source of the problem. Antidiarrhea medicines actually backfire. After all, you want to get the lactose out of your body as quickly as possible. Is there anything that works after you’ve swallowed the lactose? The answer is no. You can lessen the awfulness, but as long as your colon harbors bacteria churning out gas you’ll have symptoms after having dairy products. At what age does lactose intolerance begin? In Bangladesh, 59% of children under three are lactose intolerant, 10% of children under eighteen months. The numbers are similar in Singapore and Thailand. Native Americans in Canada and Peru show an effect about half as large. Barely a handful of LI studies have ever been done on infants. Those that have been done agree on two points. Babies under six months old do not test as being lactose intolerantI. But studies in Jordan, Tunisia, Nigeria, Thailand, and Bangladesh that include infants up to 18 months of age all show from 10-32% lactose intolerance among their subjects. Children who have recurring stomach infections and bouts of diarrhoea caused by viral infections can become lactose intolerant because the delicate villi ,the finger-like projections on the inside of the small intestine that actually manufacture the lactase, get damaged repeatedly and every time the child is given milk, more damage sets in. Asian children are particularly subject to this permanent loss. Some babies are born without any ability to manufacture the lactase enzyme that digests lactose. This condition, known as Congenital LI, used to be fatal before artificial non-milk formulas were developed. Cases of Congenital LI should be quickly diagnosed . If your child starts showing signs of diarrhea, general gas and bloating, and foul-smelling stools it may very well be milk-related, even if you are still breastfeeding. Get a test. Don't let ignorance on doctors' parts stand in the way of your child's health. What has lactose in it ? : whey, curds, paneer, cheese, dry milk, milk powder,buttermilk, icecream, anything with cheese on it like pizza . Processed cheese and cheese products have much high lactose than milk . Whey is the liquid part of milk. Once manufacturers discovered that they could give their products that good milky taste and feel at a fraction of the cost of whole milk, they started using whey in cookies, cake and pancake mixes, bread and cerals and can be found in frozen foods, cold meat cuts, salad dressings, and canned soups. Whey contains the same lactose content as whole milk when liquid. But when dried and powdered and used in commercial food products whey powder is two-thirds or more lactose. Birth Control pills also have lactose in them. In fact Lactose is the inactive ingredient for most pharmaceutical firms. Sprayed, lactose dries to a hard, impervious, slippery surface that helps a pill go down. In powder form, lactose is slightly-sweet, nonreactive, and anticaking, the perfect filler to bulk out the tiny bit of actual medicine that a pill contains. While the amounts are small, there are documented cases of people who do prove to be susceptible even to these. Seniors, especially, and those others who take dozens of pills a day are most at risk. 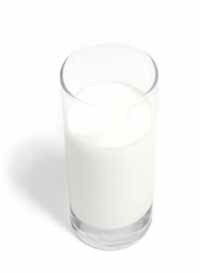 Additional discomfort when you are already sick is the last thing you need Stop all milk related foods. Since all you are eating dairy is for the calcium you can easily get that from soy milk , orange juice ,spinach or any other deep green vegetable. There are hundreds of non dairy alternatives for coffee ad tea , "milks" based on soy, almonds, oats, rice, corn syrup and potato starch. There are milk-free margarines on the market.